SUSAN DEAVER, MUSIC DIRECTOR & CONDUCTOR - University Orchestra at Stony Brook University and Festival Chamber Orchestra at the LIU Post Chamber Music Festival at Long Island University. Susan Deaver has conducted orchestras in the United States, Europe and Asia. She is currently Music Director and Conductor of the University Orchestra at Stony Brook University and a frequent guest conductor. She will conduct the University Orchestra in a series of orchestral concerts at Staller Center during the 2017-2018 season. In June 2016 she completed 25 years as Music Director & Conductor of the the North Shore Symphony Orchestra during the orchestra's 55th Anniversary Season. In addition to conducting the University Orchestra, she has taught conducting classes at Stony Brook University, Manhattan School of Music Precollege and college divisions and at LIU Post. As an orchestral fellowship student at Tanglewood, she worked with both Leonard Bernstein and Seiji Ozawa and was selected to participate in Tanglewood's Conducting Seminar Classes with Gustav Meier. She was selected to participate in the New York Philharmonic’s Conductors Table with Zubin Mehta, Alan Gilbert and Leonard Slatkin. 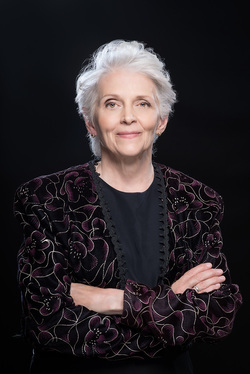 Among her conducting credits are the Washington Chamber Symphony at the Kennedy Center, Thüringen Philharmonie in Gotha, Germany, the Island Chamber Symphony, the Bronx Opera Chamber Orchestra, the Seoul Symphony of New York at Lincoln Center, the C.W. Post Orchestra at Tilles Center, composers' reading sessions with the Stony Brook Symphony Orchestra and contemporary music at both Manhattan School of Music and Brooklyn Conservatory of Music. In Korea she was a guest conductor at the New International Music Festival at Sejong Center for the Performing Arts in Seoul, the Pusan Festival Orchestra and the Masan City Symphony Orchestra. She conducted the Long Island Youth Orchestra at Carnegie Hall in 2007 and 2008, and collaborated with the Youth Chamber Orchestra of Bergen (Norway) on their concert tour to New York City in April 2007. Ms. Deaver was the conducting instructor for actor Freddie Highmore for Warner Brothers’ movie August Rush. Susan Deaver has assisted Tilles Center for the Performing Arts in coordinating numerous educational residencies with the New York Philharmonic, and visiting artists such as Yo-Yo Ma, James Galway and the Shanghai Quartet. As a flutist and avid chamber musician, she has performed extensively and has been praised by critics for her “superb playing” and “atmospheric virtuosity”. On numerous occasions she performed as a flute soloist at the Kennedy Center with the Washington Chamber Symphony of which she was Principal Flutist from l981 to 2002. Her doctoral thesis, entitled "The Group for Contemporary Music, 1962-1992," deals with both the historical and performance aspect of one of America's foremost contemporary music ensembles. In addition to her conducting at Stony Brook University, Susan Deaver is the conductor of the Festival Chamber Orchestra at the LIU Post Chamber Music Festival and served at the Principal Guest Conductor for the Long Island Youth Orchestra for over 20 years. In 2017 she was the conductor for the Division IV Orchestra at the Nassau All-County Festival and the All Northern New Jersey Youth Orchestra. In January 2018 she was a conducting mentor at the International Women's Conducting Institute held in New York City. She is on the faculty of Stony Brook University where she is the conductor of the University Orchestra and teaches flute and chamber music at the Manhattan School of Music Precollege Division and at LIU Post. In addition, Susan Deaver is co-founder and currently the director of the LIU Post Chamber Music Festival, which is held each July, and has collaborated with members of the Emerson String Quartet, Imani Winds, and members of the Orpheus Chamber Orchestra and the Chamber Music Society of Lincoln.